Warning: This is a slightly uncomfortable post for me to write. And MIGHT be slightly uncomfortable to read. 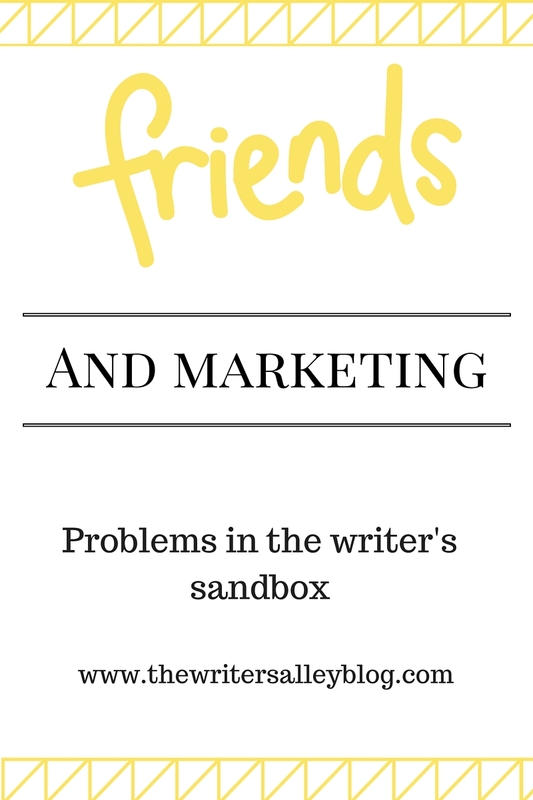 But a fellow pubbed author friend and I were having an "honest" conversation the other day about writing friends and supporting each other in marketing and what expectations abound there, and I realized that we don't really talk about it that much. It's kinda like talking about sales numbers. It's uncomfortable and a bit taboo! In fact, as an unpublished author, I never really thought about it. I think I just made this vast assumption, as I think most of us do, that once my book was PUBLISHED that all my writer friends whom I love, who I have supported with both my money and my time during my pre-published days, would be SO excited for me and jump on the bandwagon with reviews and Facebook shares and whatnot. Not like huge overboard by any means, but just in general. But then you get published. And a few of them share your Facebook post. And even fewer take the time to go on Goodreads/Amazon to post a review for you. But a very small percentage. It can leave an author feeling devalued. Deflated. Especially when we see those same author friends cheerleading and rallying around other author friends in your same "circle" and you think... what in the world?!? Did they hate my book? Do they hate ME? Did I get an F in the author popularity contest?!? That evil, green-eyed monster called jealousy tiptoes in and takes a bit chomp out of your heart and you're left with more questions than answers and a bleeding heart. Don't get me wrong. You're thankful for the few who DO support you. So.... what do you do about it? That's what fellow newly published author and I were chatting about. But over the last few years, I've learned/realized/been-convicted-of a few things. 1.) 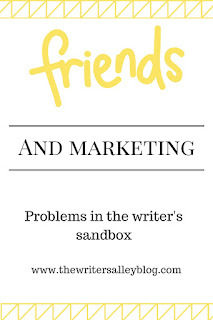 I value friendship over marketing. At the end of the day, I do NOT want my friends, writer or not, EVER to feel that our friendship is based on whether or not they review or share about my book. Ever. Ever. Ever. 2.) It is HARD to champion ALL the books by ALL your author friends. Especially once you are published. You are on your own deadlines and your own tight schedule and you just can't do everything. And if I shared every Facebook post by all my author friends (or even one of each) my own timeline would look like a whole heap of ads and it would NOT be helpful, for my own marketing or for the people I'm sharing. 3.) Those writers you see being heralded by your writer friends? Chances are they have a large percentage of THEIR writer friends who are silent too. 4.) Some authors I know just plain don't post reviews. Ever. At all. Amazon has been known to delete reviews by fellow authors (although definitely not all the time.) And because of this, and because of this whole fear of hurting others feelings, there is definitely a new trend of authors not reviewing books. 5.) There is a newish trend for authors to band together. To form a little "marketing" group to help promote each others books and "share" readership if you will. On one hand this is smart marketing. But I also think it is why we are seeing such a feeling of "holy cow everyone is supporting her and no one is supporting me" because a Facebook blitz by 10 people for the same author can feel like EVERYONE is supporting them all the time... even when it is only 10 people. If you're published, do you have any tips for other fellow published writers about dealing with the complicated quagmire that is authors supporting each other? If you're unpublished, had you ever thought about this before? Are you just assuming all your friends will be ready with pompoms and Facebook shares once that first book is released? I'm a fan of being real. Of stripping off that cloak of PC fakeness and sharing real struggles. And the above HAS been one for me. I'm still working on it. I hope you'll feel this is a safe place to share, too. This is so relevant! Love how you laid this out and I think your suggestions are great! I think the best thing to do is guard your heart... Against disappointment and even bitterness. It can sneak under an author's armor faster than you can flip a page. Great stuff!!! Love this, Krista. It is such a true post filled with such honesty. I'm incredibly thankful for friendship...first. Because that is what will last. Amy, very true! That thick skin is important for LOTS of things. It's especially hard to do for us writers because we put SO MUCH of our heart into our books! Pep, AGREED!!!!!! I've said it a 100 times before, if I started down this writing journey and the ONLY thing I get out of it is all the amazing friendships I've made... it would be worth every moment. I am a better person for it! Krista, this is a great post! And I so agree the friendships alone are worth the writing journey. First, there truly is only so much time to give. Second, strong friendship really are so important. Great, heartfelt post, Krista. Thanks!